Posted on 26, December 2017 by EuropaWire PR Editors | This entry was posted in Banks, Financial, Finland, Investment, Sweden, Travel and tagged Henrik Norman, Jonas Abrahamsson, loan, NIB, Stockholm Arlanda Airport, Swedavia AB. Bookmark the permalink. HELSINKI, 26-Dec-2017 — /EuropaWire/ — NIB and the Swedish airport operator Swedavia AB have signed a loan agreement of SEK 2 billion (EUR 201 million) for the construction of a new pier at Stockholm Arlanda Airport, outside Stockholm, Sweden. The ten-year maturity loan will finance the expansion of Terminal 5 at Stockholm Arlanda Airport. The new pier will add 14 new aircraft stands that can receive larger types of aircrafts. In addition, greater capacity and new technology for baggage facilities will be added. 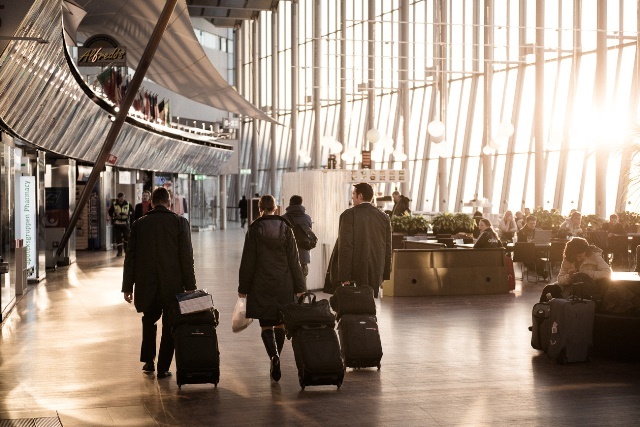 The number of passengers travelling through Arlanda is expected to grow around 2.3% annually until 2050, and Sweden’s rapid urbanisation is creating additional pressure on transport and logistics. The project is part of Swedavia’s larger investment programme for improving the infrastructure, levels of service and traffic volumes at a number of airports. “The expansion of Stockholm Arlanda airport will support the growing number of passengers and allow for a higher frequency of plane departures. The project will also add capacity for new flight connections, in particular for international routes”, says Henrik Norman, NIB President &CEO. “The loan from NIB supports our continued work in building airports for the future. Through NIB, we are diversifying our funding sources and receive cost-effective borrowing with long maturities”, says Jonas Abrahamsson, President and CEO of Swedavia. Swedavia has an environmental strategy in place and aims to be fossil-free in its airport operations by 2020. The company also aims to certify new construction under the BREEAM level for environmental buildings. Construction of the new pier will begin in 2020 and is scheduled for completion in 2025. Swedavia AB is fully owned by the Swedish state. The company operates and develops ten airports in the country. In 2017, some 40 million passengers travelled through Swedavia airports.